From earliest infancy, a typically developing child imitates or mirrors the facial expressions, postures and gestures, and emotional behavior of others. 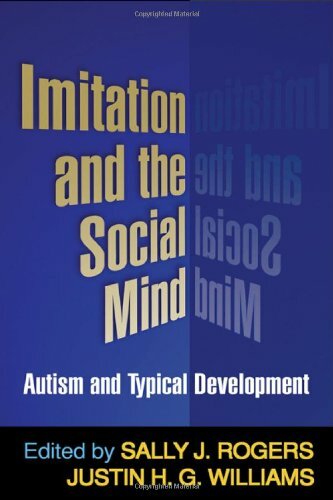 Book examines the role of imitation in both autism and typical development using research from a range of disciplines. Topics include the neural and evolutionary bases of imitation, its pivotal connections to language development and relationships, and how early imitative deficits in autism might help explain the more overt social and communication problems of older children and adults. Edited by Sally J. Rogers, Justin H.G. Williams.